DELTACON is your executive search & recruiting partner in Nuremberg for the electrical industries including automation, motion & drives, sensors and test, power supplies and EMS. At the Nuremberg office our Managing Director Olaf Kammerer is your contact for executive search & recruiting in the electrical industries. He supports his clients in the recruitment of senior management and expert positions in Germany, Austria and Switzerland as well as abroad. Headhunting par excellence, he finds the perfect candidates quickly and reliably by Direct Search, own databases as well as traditional job offers in leading job portals. DELTACON offers industry know-how, quality, reliability and guarantee. We are your executive search & recruiting partner in Nuremberg. The region around Nuremberg including cities like Erlangen and Fürth possess a leading position in the electrical industries and the manufactuing industries. Global companies as well as hidden champions and SMEs are headquartered here. An international airport, excellent train and highway connections as well as leading universities in sciences and business administration make the Nürnberg region to a preferred location in the middle of Europe. High-caliber candidates are attracted by art and culture, encompassing leisure activities as well as a moderately priced housing market. Besides Nuremberg, there are more German cities like e.g. Munich, Düsseldorf, Köln, Frankfurt, Stuttgart, Hamburg and Berlin being important locations for both candidates and companies. Naturally, DELTACON's executive search and recruiting activities span from German speaking countries to Europe and beyond. We are convinced, that Nuremberg with Erlangen and Fürth will have a leading role to answer the major future topics like renewable energy, industry 4.0 and electric mobility. 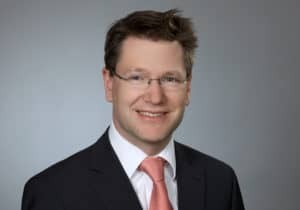 Therefore, DELTACON has an office in Nuremberg since 2018, lead by Olaf Kammerer, responsible for the electrical industries including automation, motion & drives, sensors and test, power supplies and EMS.